Can Caffeine Improve Sports Performance? Home > Sports & Performance > Can Caffeine Improve Sports Performance? 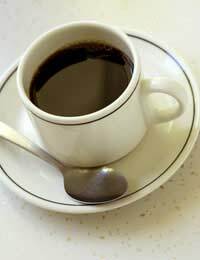 Many of us cannot function well in the mornings without that essential cup of coffee. Now it has been proven that caffeine helps us stay alert and helps top up our energy levels. But can it help improve our sports performance as well? Caffeine is one of the best researched stimulants in the world, and all research points to the fact that if used in moderation, it has no adverse effects on the human body. Caffeine is classified as a drug because it stimulates the central nervous system, and can be natural or produced artificially. In sport, caffeine is often used a way for endurance athletes to improve their endurance levels, and is also benefits short-term high-intensity exercise and mental alertness. Caffeine achieves this by blocking proteins called adenosine receptors. Normally the receptors bind to adenosine, causing a natural feeling of sedation and producing a lowered heart rate. But caffeine allows a stimulatory neurotransmitter called dopamine to have more influence than the calming adenosine, making us feel revved up and ready to exercise. This natural stimulant, sourced from the leaves, nuts and seeds of more than 60 plants, is present in a number of everyday food items such as coffee, tea, chocolate, cocoa and most cola beverages, where it is used as a flavouring agent. It is estimated that about 80 percent of the world's population are habitual caffeine users. As well as drinking coffee and tea, athletes get access to caffeine by taking various supplements, such as caffeine-enhanced sports beverages, caffeinated pills or caffeinated gels. In its natural form it tastes quite bitter, so caffeine normally undergoes a certain amount of processing to get the flavour right. Until 2004, professional athletes were banned from using caffeine by the World Anti-Doping Agency, although this has been overturned. In the past, some Olympic medallists were stripped of their medals for using caffeine. While you may not be aware of it as you down your daily espresso or cappucino, caffeine is still a drug that needs to be taken sensibly in moderation. If you decide to take special sports supplements containing caffeine to improve your sports peformance, endurance or energy levels, ask your doctor first. And if you drink a lot of coffee - more than three cups a day - you may want to consider gradually cutting down. What Are Workout Recovery Supplements? Can Ephedra-Free Products (Thermogenics) Improve Performance? Will Ginseng Improve my Sports Performance?